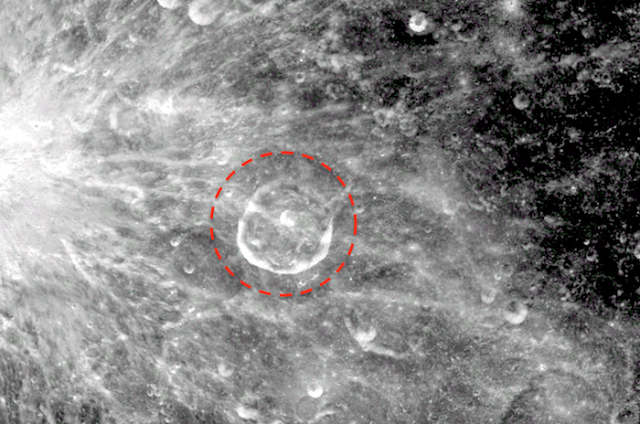 UFO SIGHTINGS DAILY: 35km Alien Structure Found On Moon In Crater, Dec 2016, Photos, UFO Sighting News. 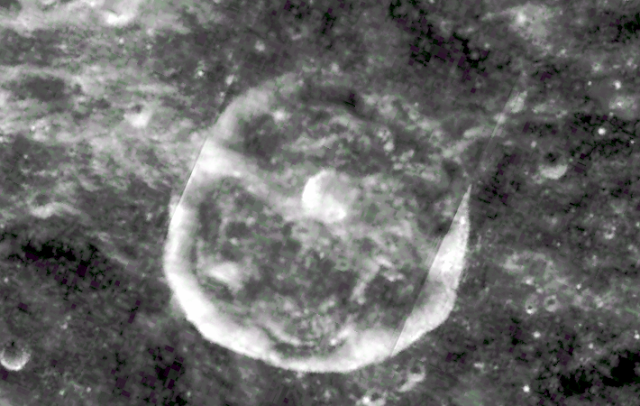 35km Alien Structure Found On Moon In Crater, Dec 2016, Photos, UFO Sighting News. The moon is a fascinating place, so when I get a chance, I like to go over detailed maps of it. As you can see, in there is a massive structure inside Henry Freres crater. The crater is 42km across. The structure covers 80% of that area. Very strange shape for sure, but you can easily make out that there are structures there. Something really odd is that there is a glowing light source from inside the crater. Maybe a reflective globe structure of some sort. You can put the coordinates in Google Moon and confirm it for yourself. Its there.